This patch features a complete musical loop played by holding one note. It utilizes the Reactor-Module for a deep and whooping base-drum and the three oscillators of the Constructor-Module provide a background drone, hihats and a melodic part. The controls of the performance view allow to mix the levels of all elements as well as changing the drone behaviour, the hihat pattern as well as the melody. 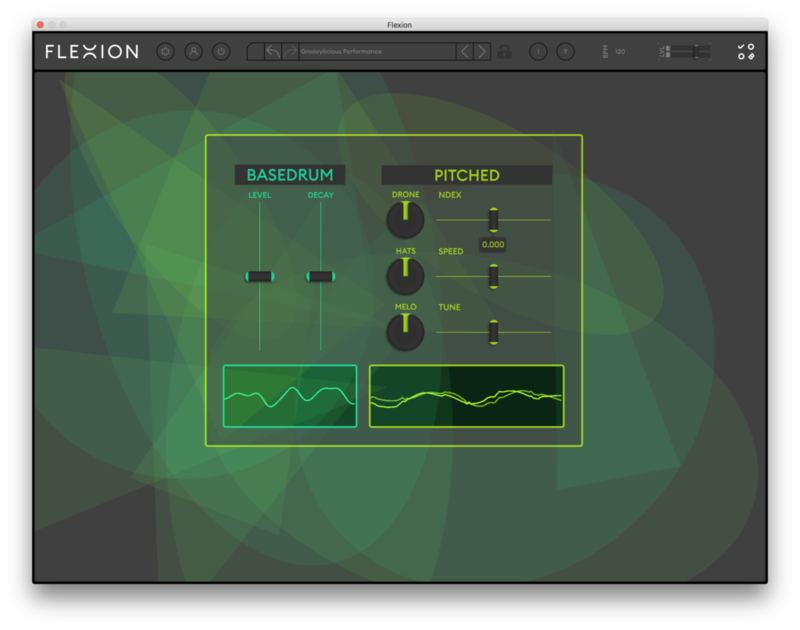 Have a listen underneath or fire up the patch in Flexion to have a go right away.